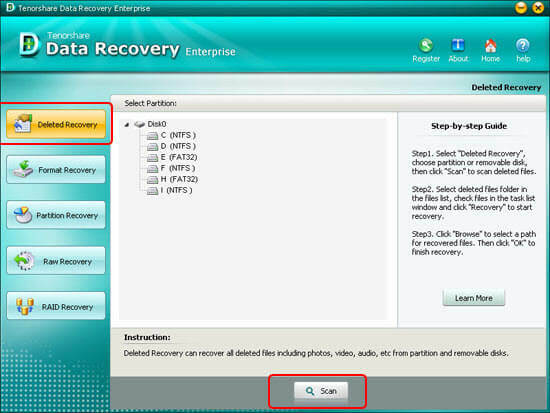 Tenorshare Data Recovery Enterprise is a comprehensive data recovery program designed for deleted and formatted data recovery, as well as partition recovery and raw recovery. What\'s more, it supports RAID recovery for RAID 0 and RAID 5. Lost data in RAID 0 and RAID 5 can be scanned thoroughly and restored timely. Meanwhile, files and folders in RAID 0 and RAID 5 can be directly copied to other partitions. Crack MDB Password&recover Key to open database by unlock, uncovered, retrieve, crack&restore access mdb database file's password. Crack mdb password program recovers the lost MS access password by using recovery algorithms,≤ts you rehash DB.